You just need to insert a tiny wire sensor under your skin. A fingerprick isn't just a fingerprick when you have to do it all the time to test your blood sugar levels. 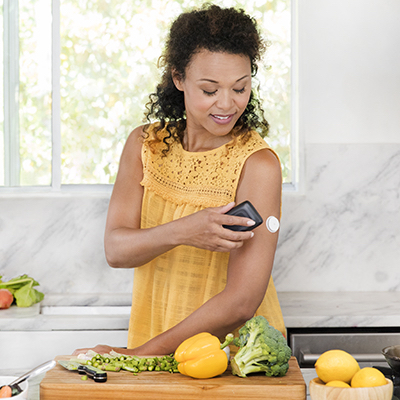 Thankfully, the Food and Drug Administration has approved the first continuous glucose monitoring system for adults that doesn't require you to draw blood several times a day. Abbott's FreeStyle Libre Flash Glucose Monitoring System works by inserting a tiny sensor wire below the surface of your skin. The wire needs 12 hours to start up, but once it's ready, you can simply pass a mobile reader over it to read your glucose levels. It even works for 10 days before you have to replace it. FDA's Donald St. Pierre explained that the agency has always been welcome to new technologies that can help people manage chronic conditions. "This system," he said, "allows people with diabetes to avoid the additional step of fingerstick calibration, which can sometimes be painful, but still provides necessary information for treating their diabetes -- with a wave of the mobile reader." Abbott already has a similar system available called the FreeStyle Libre Pro, but you need a doctor's help to use it and to activate the sensor wire under your skin. You don't need a doctor's help to determine if your sugar levels are too low, too high or just right with the Flash, but you have to be 18 and older to be able to get it.